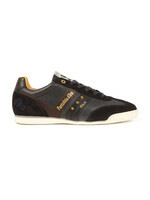 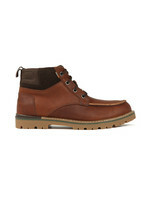 Pantofola d'Oro Vasta Uomo Low Trainer in Dark Shadow. A sleek lace-up trainer made from premium suede with leather detailing. 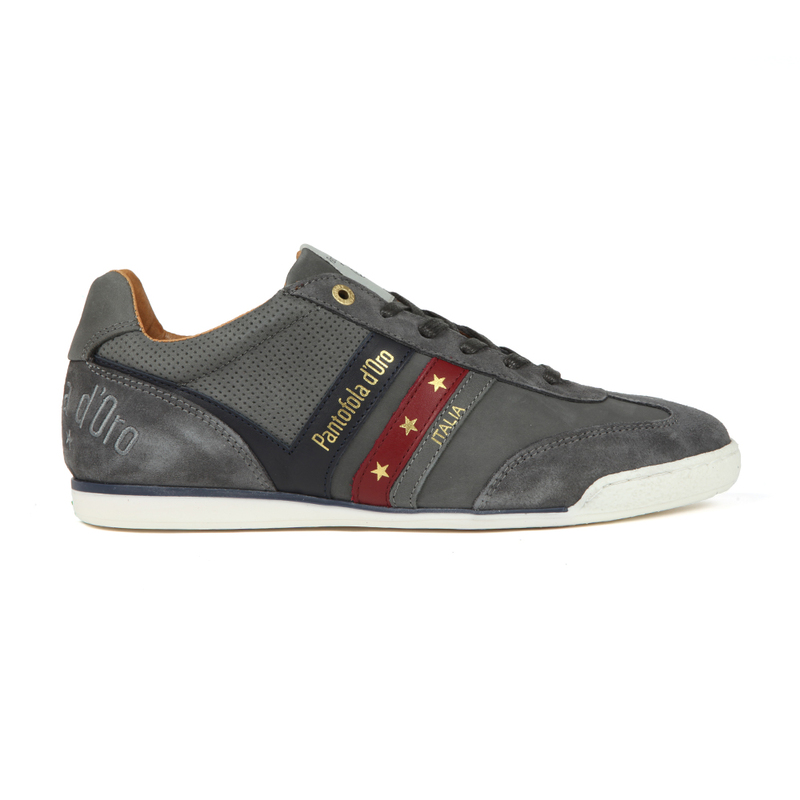 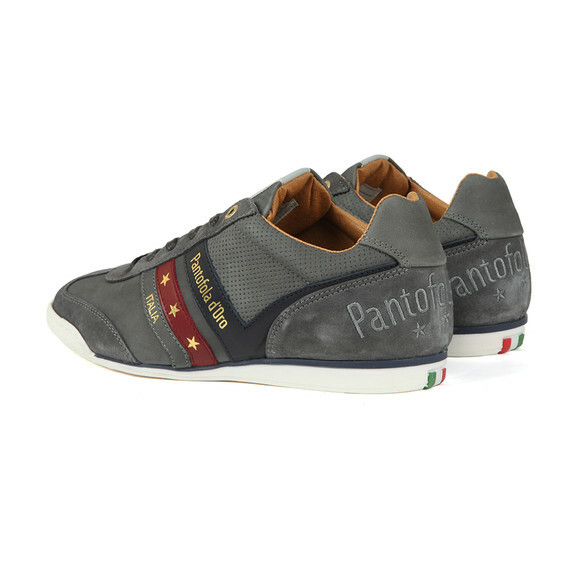 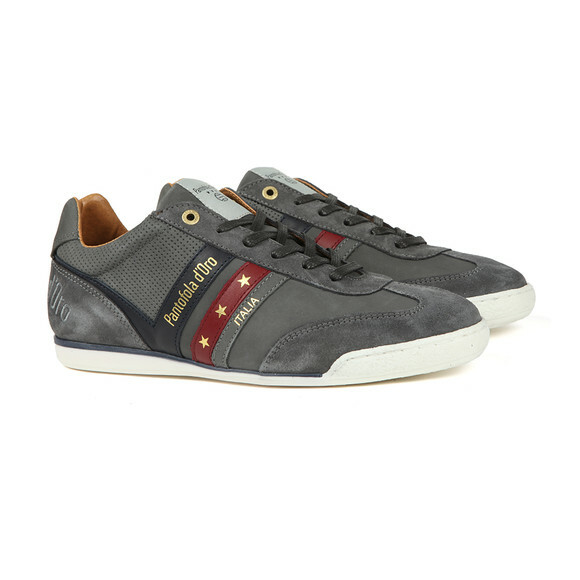 Given Pantofola d'Oro branding on the tongue and outer side and an embroidered heel logo.